With a range of companies and locations, the Van Rooi Group offers several specialties. Let us shortly introduce the companies and their specializations. Livestock trade M.A. van Rooi in Lieshout mostly supplies piglets. 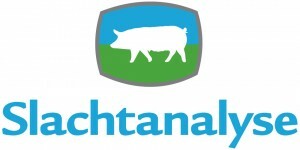 The companies ensure a continuous supply of pigs for the slaughterhouse in Helmond. Martien and Addy van Rooi, together with the buyers, visit the farms to talk to the pig farmers. They do this not only to secure the supply, but mostly to enter into and strengthen relationships with these suppliers. In addition to this, Van Rooi exports piglets and pigs from Lieshout to several countries in Europe. This happens either straight from the farm, or via the export trade center. In Helmond, about eleven thousand pigs are slaughtered daily. With the new production facility, this can be upscaled to fourteen or fifteen thousand pigs per day. At this location, deboning of hams, shoulders and waists takes place. Also, the location has a separate line for the production of bacon. After the first partition, Van Rooi transports the parts to customers in the retail, meat and meat products industry, and the wholesalers. Because Van Rooi Meat mostly uses its own transport vehicles, it can determine their own planning, keep the costs under control and encourage sustainable transport. Besides pigs and piglets, Van Rooi also offers high-quality beef, such as the qualitative race Blonde d’Aquitaine, beef from the French Limousine and meat from Ireland. In addition to this, Van Rooi offers beef from Dutch cows. The facility in Someren processes the meat into various quality products, such as Ribeye or T-Bone steak. Furthermore, Van Rooi uses the program Better Life to guarantee high quality beef with a contant quality. ProViande specializes in packaged products, like meatballs, minced meat, steaks, pork chops, bacon rashers, steaks tartare, beef, rib-eyes, and specialties like skewers, meat loafs, casseroles, and dishes of meat for barbecue or gourmet. Next to regional specialties, ProViande also packs, among others, biological meat. Because this specialist continually responds to new trends and developments – convenience, less fatty products, etc. – it distinguishes itself with a wide, innovative assortment.